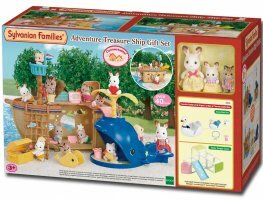 The Adventure Treasure Ship Gift Set is a great value all-in-one pack which includes 3 figures. 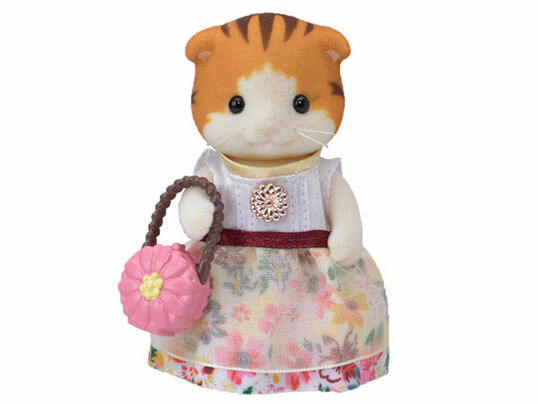 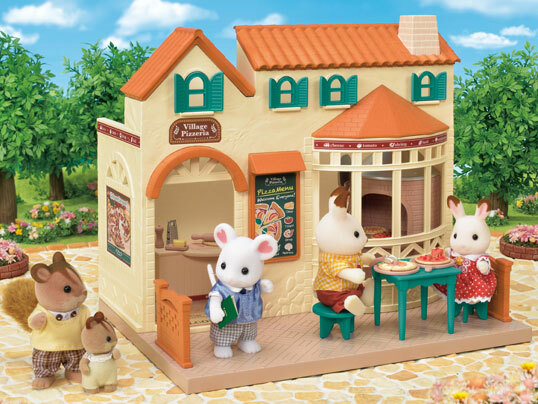 RRP £59.99; Sylvanian Shop Price £44.99 - save £15! 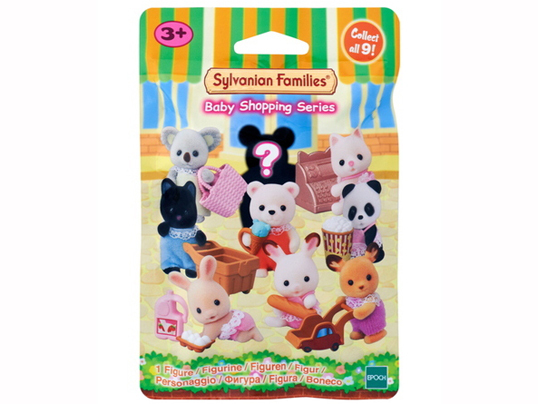 This great value limited edition gift set comes with over 40 pieces including 3 figures wearing exclusive outfits! 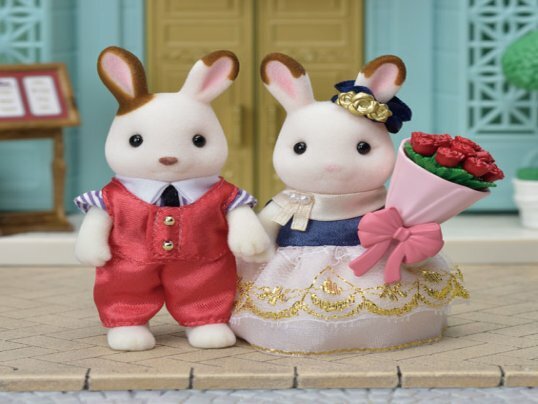 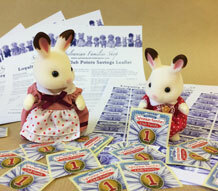 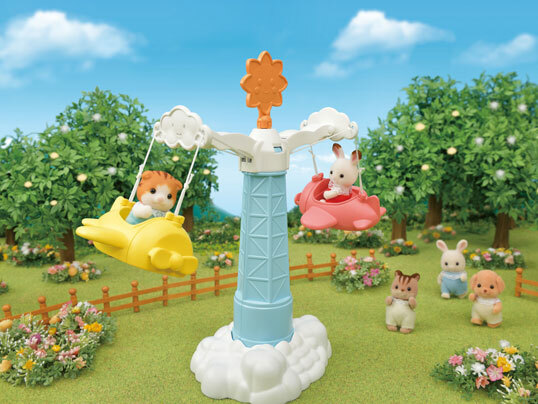 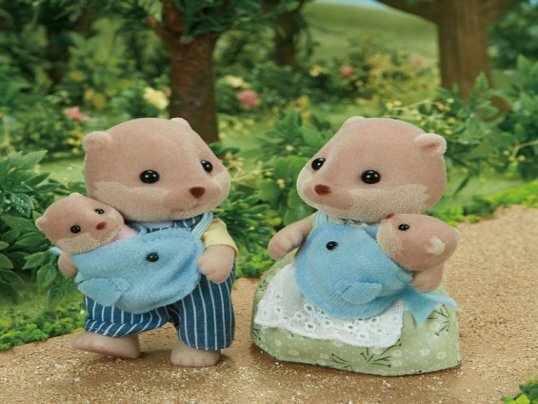 Save £15 off the RRP of £59.99 with the Sylvanian Shop price being just £44.99! 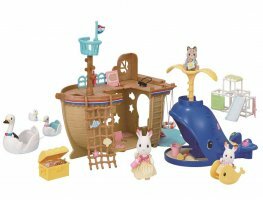 The Adventure Treasure Ship has all sorts of clever nooks and crannies for climbing, playing pirates and of course hide & seek! 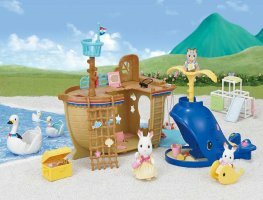 There’s a crow’s nest for breath-taking views across the bay, a swing made out of an old lifebelt and even a chest filled with once-buried treasure! 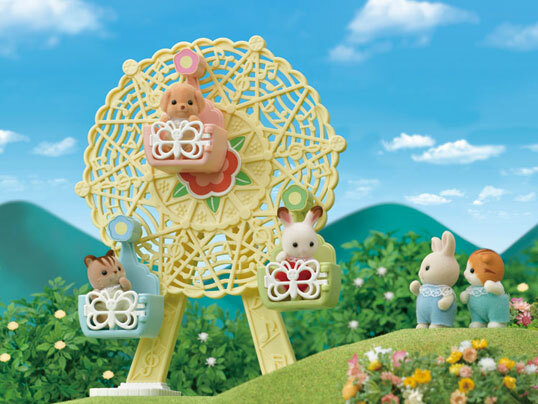 This fantastic nursery item is made up of interchangeable sections so that you can create your own design of Baby Jungle Gym - perfect for making sure that your Sylvanian babies get plenty of exercise. 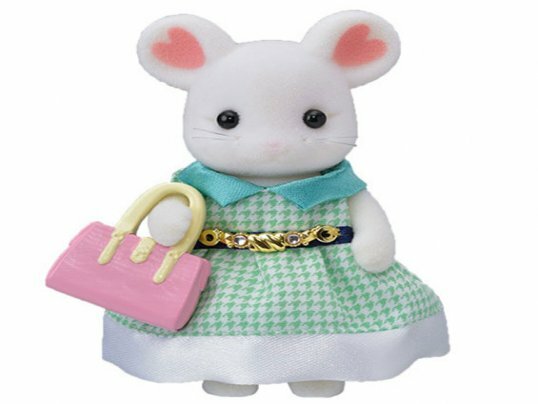 3 figures wearing pretty new outfits that are exclusive to this gift set! 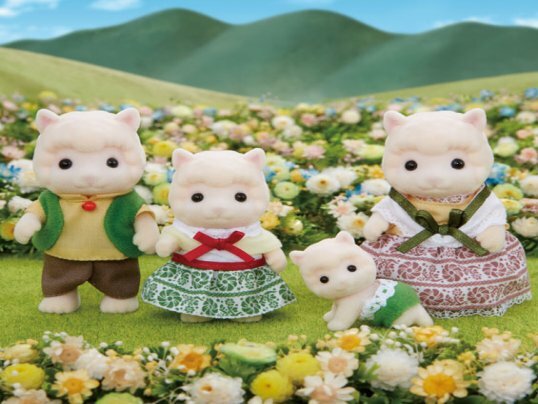 Rabbit sister Freya Chocolate, rabbit baby Creme Chocolate and striped cat baby Apricot Sandy.